In our experience, the printing and binding of your thesis is almost always a last minute panic with the deadline looming! With today's technology, we believe that the existing service available to students is inefficient, time consuming and stressful. In our experience, the printing and binding of your thesis is almost always a last minute panic with the deadline looming! With today’s technology, we believe that the existing service available to students is inefficient, time consuming and stressful. 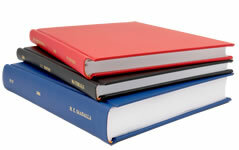 You focus on getting the content and layout of your thesis right; We will print, bind and deliver your thesis, to your university specification, with a quality and speed of service that we believe is unmatchable. We have been binding theses for Imperial College London students (our offices are 2 minutes walk from their campus) for a number of years, as well as theses for students throughout the UK and Overseas. Our bindery have been involved in the production of thesis binding since the 1940’s and have invested in the most up-to-date equipment. We print 24/7 on high quality 100gsm white bond paper using the latest digital machines. eThesis is operated by The Elvaston Group Ltd. The Elvaston Group have been designing and manufacturing luxury leather photograph albums and stationery products for over 20 years. We have accounts with most of the top UK retailers in this sector. These include Harrods, Fortnum & Mason, The General Trading Company, Picketts, Anya Hindmarch, Holland & Holland, Purdeys, Farlows and Berry Brothers to name a few.